Why do they add a coupon field do the end of the signup process if there is no coupon available. Im mentioned this before but I will say it again. I think Winner Alert is a great tool. Right now, using Winner Alert to manage a campaign of 90,000 keywords is making my life a lot easier so I can focus on other important Google AdWords campaign issues like split testing or redoing the landing page. 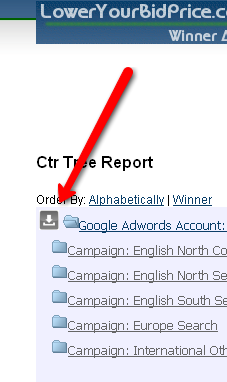 With so many variable in optimizing a Google AdWords campaign, Winner Alert really makes things easier with their new campaign export feature. Click there will export a spreadsheet that you can use to change the exact keywords/ adgroups instead of finding the adgroups you need to change and then pausing the old ones and rewriting new ads. It savs a lot of time. Any its worth checking out Winner Alert and please post if you find a coupon code.